The one thing that always seems to get us in the summer is mosquitoes! They are annoying little creatures that seem to always find us. Bunbun has some pretty bad reactions to mosquito bites so we always have to be on top of the situation. Fortunately, the experts at Orkin study the science of mosquitoes and other pests closely in order to better tailor plans that help keep them out of our homes this summer. Before we get to this fun craft, help prepare your family against those pesky mosquito bites this summer by taking the Orkin BUZZER BEATER Quiz below and don’t forget to enter my giveaway when you’re done. One lucky winner will win an Orkin Mosquito Summer Scientist Prize Pack! Okay! 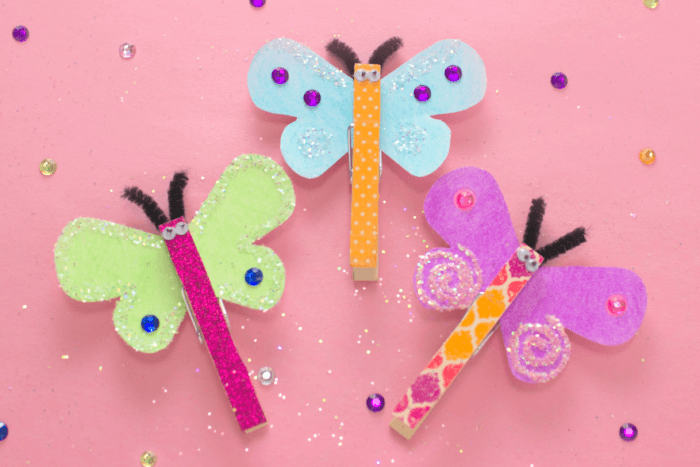 Let’s get started with our Butterfly Clothespin Craft. It’s perfect for children of all-ages, even the itty-bitty ones! Not only is this craft fun to create, its great for little ones who are working on pincer grasp, finger strength, fine motor and cutting skills. With minimal supplies, this activity can be done over and over again! Color your wings however you’d like. Get creative and draw patterns, shapes and more! Experiment with different mediums such as colored pencils, markers, paint, watercolors, etc. 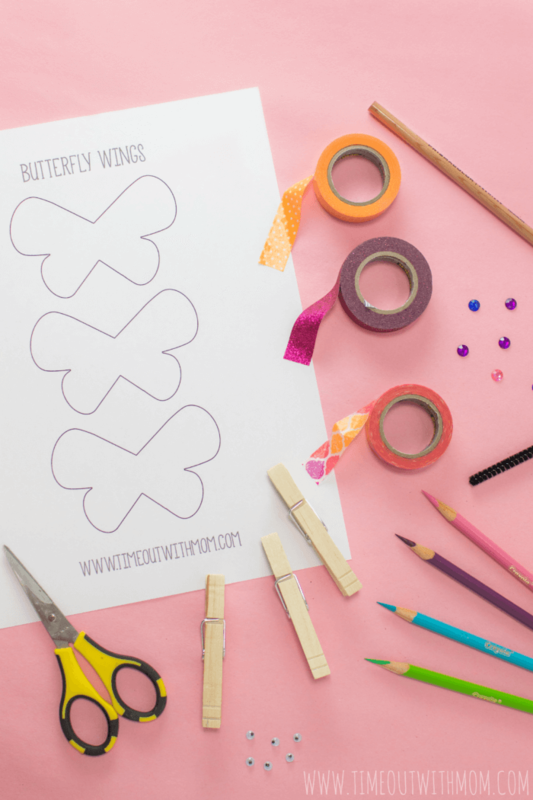 There are so many ways to create your butterflies. 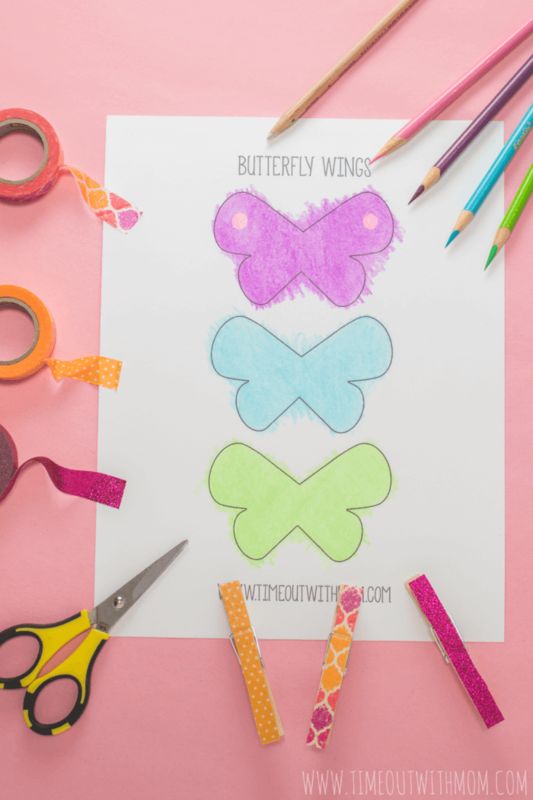 Once you’ve finished coloring the wings, cut them out and decorate with additional items such as gems and glitter. Set aside to dry. Attach your washi tape to the clothespins and trim the excess with scissors or a craft knife. Add a dab of glue to the top and attach your googly eyes. Bend your cut pipe cleaner in half to make a “V” shape and slide your colored wings into the clothes pin. Finish by clipping the folded pipe cleaner with the clothes pin or hot gluing it to the back for a secure hold. 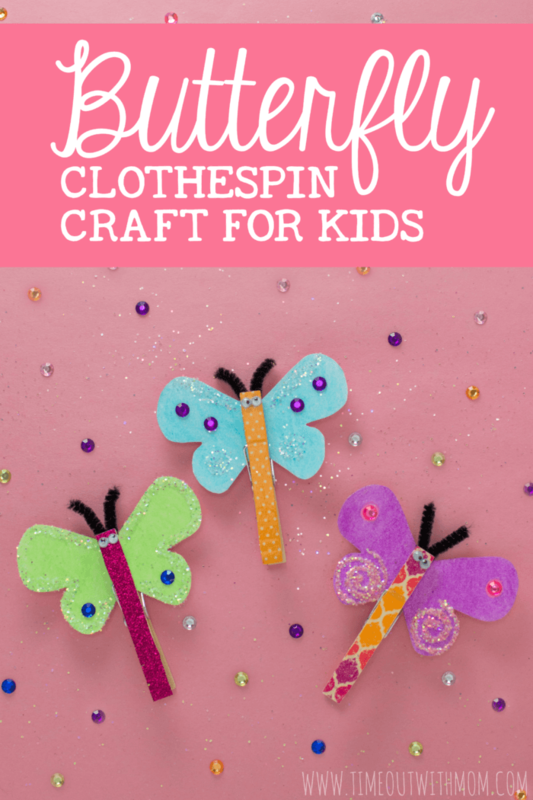 Want to take your Butterfly Clothespins to the next level? Add a magnet to the back for a cute Mother’s Day gift! ** Each printable is 8.5″x11″ and can be printed at home or your local photo lab. Note: Printables/Images are for personal use only. Not for resale. Now, who’s ready for a Giveaway? Enter to win the Orkin Mosquito Summer Scientist Giveaway! Giveaway is open to all U.S. residents. Each household is only eligible to win Summer Scientist Bug Catching Kit via blog reviews and giveaways. Only one entrant per mailing address per giveaway. If you have won the same prize on another blog, you will not be eligible to win it again. Winner is subject to eligibility verification. Giveaway will end on 5/10 at 12am EST. All prizes will be fulfilled by the sponsor. Orkin uses the latest technology and unparalleled training to develop an effective treatment that’s right for your needs. To learn more about their pest control based in science or to schedule an inspection, visit orkin.com or call 1-800-800-ORKIN. I keep the mosquitoes away by dumping all standing water in the yard, planting citronella bushes, using natural oils on my pulse points, and I use an environment-friendly spray for the yard (lemon dawn, Lemon ammonia, and there’s one more…it’s on Pinterest and my pest control man swears by it). I try to make sure there is no water built up anywhere like in old flower pots and such.